I found these images on this image aggregator, which states that the photo credit is unknown for both images. 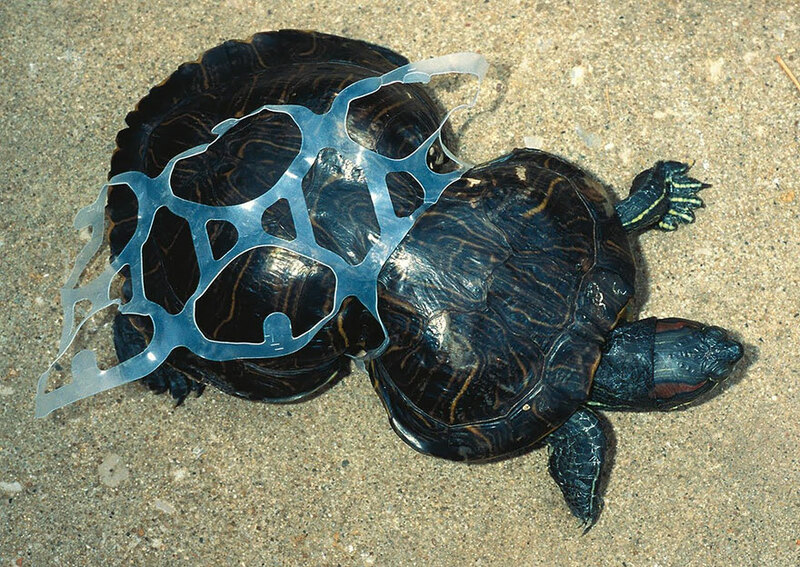 The tortoises are implied to have become deformed from growing up inside the rings of plastic. Are these images authentic, and is it in fact possible for tortoises to become deformed in such a manner? There is no evidence that these are hoaxes, nor that some other process caused the deformity. It is reasonable to assume they are solely a result of the plastic rings they were found with. The story of Peanut the Turtle at the Minnesota Department of Natural Resources. There has been discussion on the Snopes forums regarding the second image. In the link, they discussed the case of Peanut the tortoise, which appears to be the same tortoise depicted in the first link. 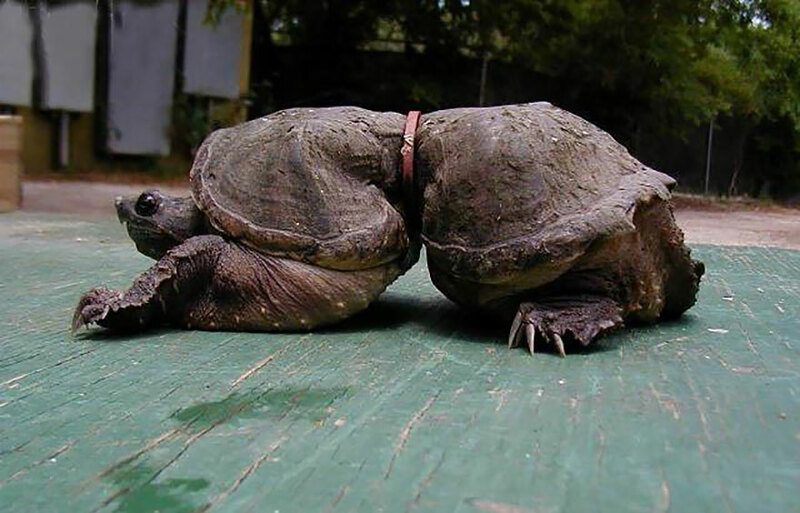 Therefore, at least the first image is authentic, and tortoises can certainly be deformed by plastic rings. According to the Minnesota Department of Natural Resources quoting the Missouri Department of Conservation, the first photo is an authentic image. This is Peanut the turtle—Peanut the red-eared slider, to be exact. She was found in 1993 in Missouri and taken to a zoo in St. Louis where the six-pack ring was removed. Today she is in the care of the Missouri Department of Conservation, and is doing well. Not the answer you're looking for? Browse other questions tagged zoology pollution .